Christine B. Whittemore, chief simplifier of Simple Marketing Now LLC, will address social media marketing best practices for flooring retailers in 2 educational sessions during Surfaces 2010, the annual exposition for floor covering professionals. 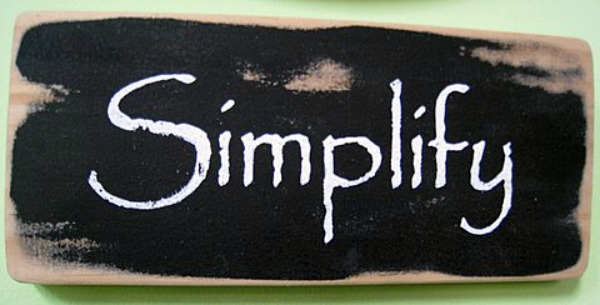 Simplify your marketing with Simple Marketing Now! Jan. 5, 2010 - PRLog -- Kinnelon, NJ – Christine B. Whittemore, chief simplifier of Simple Marketing Now LLC, will address social media marketing best practices in two educational sessions during Surfaces 2010, the annual exposition for floor covering professionals. Both the three hour workshop and the one hour seminar offer a practical approach to benefit flooring retailers; they take place at the Sands Convention Center in Las Vegas. • Marketing In a Recession 101 takes place Monday, February 1st, 2010, from 9 a.m. to noon. Christine joins Scott Perron of Big Bob's of America and Paul Friederichsen from Brand Biz, Inc. in a marketing 'how to' session during which they help a fictitious retailer solve problems and apply marketing tools. Retailers attending will learn how to make the most of available marketing dollars in a down economy, including how to use social marketing to connect with customers in new and meaningful ways. • Social Media 101 takes place Tuesday, February 2, 2010, from 12 noon to 1 p.m. The session offers an overview of social media - what it is and why it matters - how to apply social media marketing tools to better understand the marketplace, promote a retail business and connect with customers. To register for these sessions, log on to the Surfaces Registration Page. About Simple Marketing Now LLC: Simple Marketing Now is a marketing communications consultancy that provides organizations with the right combination of traditional marketing and new and digital tools to improve the customer experience.